Popularly known Tejgaon College was primarily founded as Dhaka Night College in the year 1961 in the campus of Islamia High School beside the river Buriganga. The college was framed under the true & sincere effort made by Late Maulana Abul Khair. That time the name of the founder president of the college was the then education minister Mr. Shafiqul Islam,Advocate Bahauddin Ahmed & Advocate Mr. Abul Hossain were included as the members.During their tenure, the teachers used to teach the students with a scarce amount of remuneration, it was just 50 Tk. per month. Many days were passed in the premises of Islamia High School. Then the education minister Mofizuddin shifted its campus in Madrasha-E-Alia in Dhaka. That continued for another one year & a half. Again the then authority had to look for a new address as a consequence of an untoward/unwanted incidence. That time they could manageto find its address in Tejgaon Polytechnic High School where its Headmaster, Mr. Noor Mohammad played a significant role. That time Mr. M.Q. Roisuddin performed his role as principal & his tenure was from 1963 to 1966. Because of facing various adversities, the authority had to go for a change of its campus from Tejgaon Polytechnic High School to the Crown Laundry, owned by Mr. Asadul Hoque, situated in Tejgaon industrial area. Surprisingly enough, the whole administration of the college again shifted its campus to the crossing road in Farmgate, which is presently known as Al-Razi Hospital. Along with that process, the college was renamed as “Tejgaon College” from its original one “Dhaka Night College”. But unfortunately enough the college was yet to get its permanent compound. After the liberation war in 1971, the then prime minister & father of the nation, Bangabandhu Sheikh Muzibur Rahman chalked out a plan so that he could fulfill the long cherished desire of its huge number of students & the guardians by offering a permanent address. Finally Tejgaon College could manage to overcome its painful existence of being a parasite. All the teachers, staffs & the students contributed their joint effort to build up its new infrastructures. The number of the students kept on increasing & same as the case with the teachers. But the development history of Tejgaon College got its momentum when the present Principal Md. Abdur Rashid took over the charge in 1998 soon after the retirement of its former principal Tofail Ahmed Chowdhury. It may be mentioned here that it was Dr. Iqbal, the then president of the governing body & MP (Dhaka 10) also provided his all out effort support, guidance, inspiration & co-operation. Off course some unpleasant happenings paused its course of development for the time being but with the blessings of almighty, the development index again succeeded to find its original track & undoubtedly now it is getting higher & higher & probably at its peak with dynamic, foresighted & determined leadership of Principal Md. Abdur Rashid along with the wise, timely, proper & ceaseless guidance by Md. 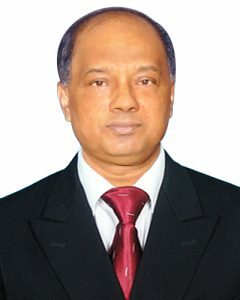 Asaduzzaman Khan Kamal, the present chairman of the governing body & the current member of the parliament ( Dhaka-11). With this proceeding, Tejgaon College is crossing its yet another milestone by launching BBA,CSE,TMS & THM program .We are committed to build our student in accordance with the prevailing demand of the world. Studies in Business & IT in the sphere of the higher education can play the key role in meeting the demand of efficient human resource in business arena.